As time passed, the human race began to advance. More and more countries began to be inhabited and means of communication between them began to improve. Through mutual contact, people of different countries began to appreciate the need for a universal religion. Also, as noted above, the adulteration of original teachings caused the need for fresh guidance from God Almighty, who is the Original Source. 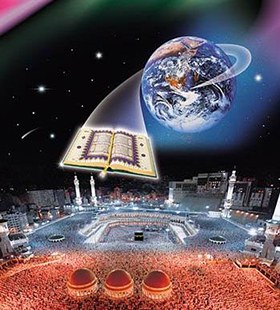 God Almighty responded to the need of a universal religion by sending His final and perfect message to mankind through the Holy Prophet Muhammad, may peace and blessings of Allah be upon him. Thus, the final great religion, named Islam, was founded as a Universal religion, about six hundred years after Jesus Christ, may peace be upon him. Next Topic What is Islam?